You might have heard the buzz about the latest 58″ multitouch iPhone table from the Table Connect team. Today they released a video demo of their concept and thanks to the ‘eagle eyes’ of viewers, there is a good chance that this demo is indeed a fake. 1. 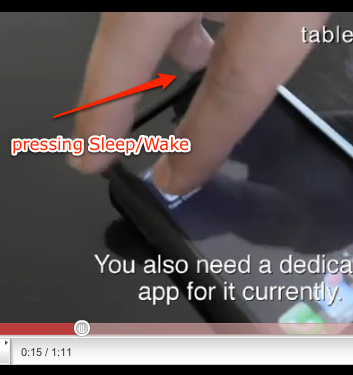 The demonstrator presses the Sleep/Wake button at 0:15 into the video simultaneously while launching the app. 2. 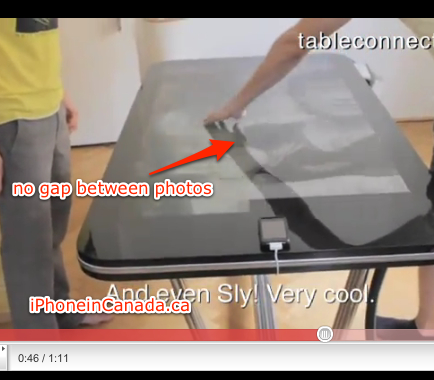 While showing the Photos app, there are no gaps between photos, like how it looks on your iPhone (try it).